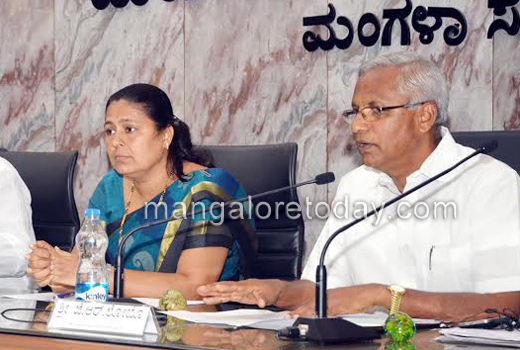 Mangaluru, May 19, 2015 : Mangaluru South MLA JR Lobo has directed the MCC to immediately convene a Development Committee meet under the presidentship of the Mayor to discuss the utilization of the Premium F.A.R. Fund of around Rs 85 crores towards the development of prominent roads, construction of footpaths, underground drainage and for drinking water supply purposes a priority basis. He also directed to place the decision taken at the meeting before the House Committee. A meeting held at the MCC office on May 19, Tuesday in the presence of officials and elected representatives discussed various issues pertaining to construction regulations, renovation of market and precautionary measures to be taken to avert monsoon related eventualities. He also instructed the authorities to frame construction guidelines as the public faced a lot of problems while taking up new construction works. All those concerned including MUDA and the other authorities concerned should be take into task in this regard, Lobo said. With regard to naming of different roads, he suggested convening of a meeting of elected representatives so that a list of the same could be prepared. 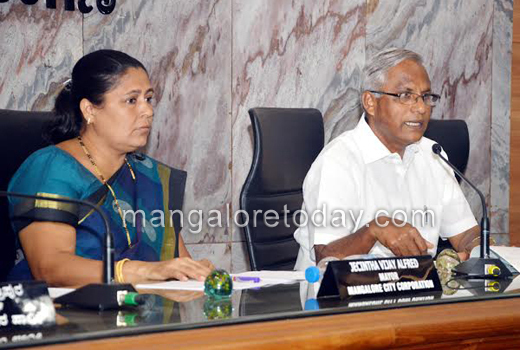 Mayor Jacintha Vijay Alfred, Deputy Mayor Purushottam Chitrapura, former mayor Mahabala Maarla, Standing Committee Presidents Deepak Poojary, Harinath, Keshav Maroli, Prakash Salian and other officials were present.